Whether you workout at Next Age Fitness, another fitness center or you are using a nutritional approach to fitness; quantify results with a 3D scan at Next Age Fitness. Results during the 20 minute appointment. This scanner uses a depth camera, which uses noninvasive, near-infrared light and a standard image sensor moves up and down while you are being scanned. Information is uploaded to the Fit3D website and an email is sent to you encouraging you to log in and review the results. ​Watch your progress. Understand how your efforts affect the outcome and adjust your fitness plan accordingly. 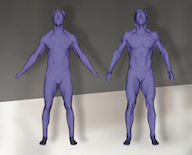 3D body scans will document your transition, confirm symmetry and can even track pregnancy. Track your Transition: It starts with a “before” scan and sticking to your plan. Regular scans allow you to see results that the bathroom scale can’t. These scans can help you refine your plan and give you motivation when you see the difference in your avatar. Confirm symmetry: Watch your progress carefully. Understand how your efforts affect the outcome. And then adjust your fitness plans accordingly. Track pregnancy: Scans can give you and your doctor information about your weight gain. These avatars might turn into memories years from now. Sometimes scales do not tell the whole truth! Scans gives you lots more data to analyze. 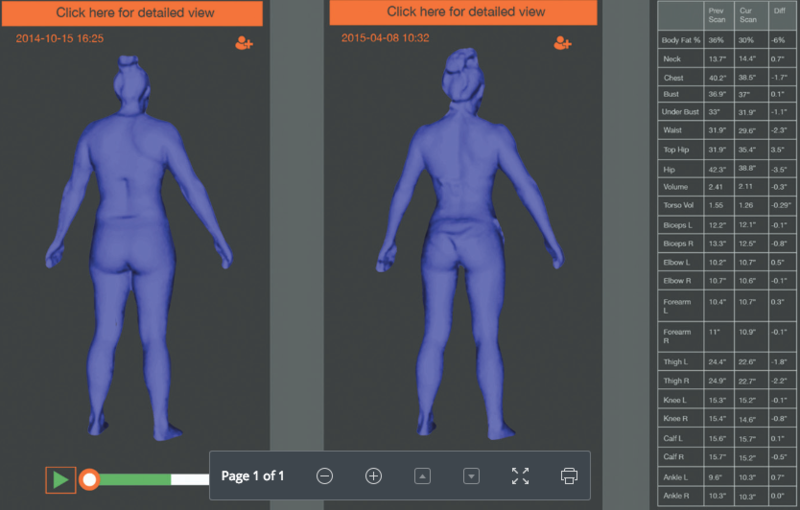 ​The Fit3D website allows for scan comparisons, reviewing trends and analyzing reports to confirm that your efforts are producing results. Your data is private. You review and make your own decisions. Next Age Fitness supports your fitness plan. Get your "before" scan Today! ​You will be glad you did in a few months when you are ready to share proof that your plan worked! Purchase a 4 pack here. ​Review the meaning of scan appropriate clothing to ensure a good scan.